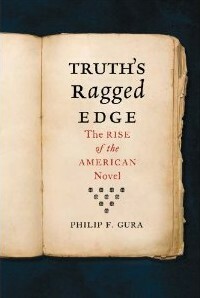 Philip F. Gura’s new book, Truth’s Ragged Edge, explores the development of early American fiction. An excerpt appears in the current issue of NER. Philip F. Gura is the author of nine books and currently teaches at the University of North Carolina at Chapel Hill. In 2008, Gura received the Distinguished Scholar Award from the Division on American Literature to 1800 of the Modern Language Association. His essay “The Transcendentalist Commotion” appeared in NER 28.7. Truth’s Ragged Edge is available at Powell’s and other booksellers.